How 10 of us made over £400! Esme and Jessica work in a small office of only ten people, but by getting their chairman to match their fundraising their team made an incredible total of £418. Esme tells us all about their event at NK Homes. As a small business, with many of our team working together for several years, we are very close. One of our team has had direct experiences with breast cancer and it has had a very real impact on her life, on more than one occasion. Breast Cancer Now is a charity very close to her heart and as a team we wanted to pull together to show our support to her by helping to raise funds to finding a cure, so that she wouldn’t have to experience the sadness and loss that she has done in the past. Our business is all about family first, and whilst we aren’t related, we all very much support one another as best we can, and raising funds for such an important charity was an easy decision for us all to come together. It is important to have lots of cake! 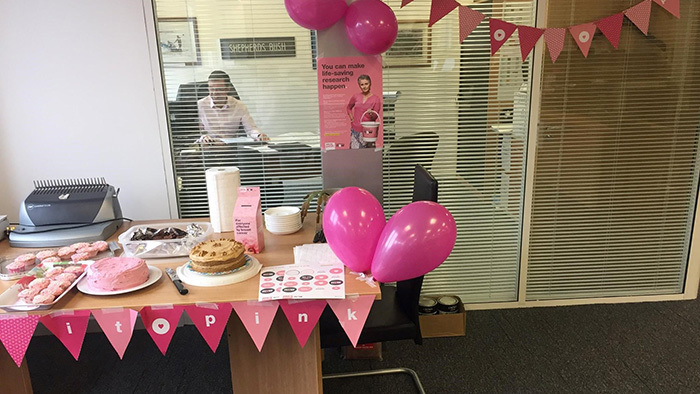 On Friday 20 October 2017, NK Homes were delighted to look pretty in pink for Breast Cancer Now. We ran our fundraising through an entire week during Breast Cancer Awareness month as we work in a very small office! The week was kindly run by our Commercial Manager, Esme and our Land Buyer, Jessica. It was a real family affair for our colleagues as several of our children helped with the baking the night before. 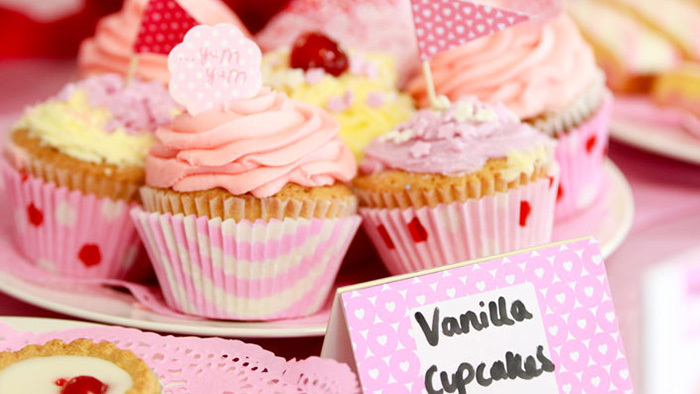 It was lovely to help raise awareness to the younger generation by explaining why we were baking and what the money will go towards once it is donated. This is hugely important as we value family first and we know how much an impact breast cancer can have on any family. The team brought in cakes and decorated the office. We had the #wearitpink sweepstake which was won by our Accounts Supervisor, Kristen, who very kindly donated £10 of her winnings straight back to the donations box. Every single member of our office staff came in on the Friday dressed in all different shades of pink, which really showed their dedication to raising funds for such a great cause. There were lots of bright pink balloons and bunting making the office bright and cheery. We think our Construction Director, Kelly, secretly liked having his office splashed with a bit of colour for the day, judging by the smile on his face throughout the day. Doubling our fundraising in one easy step! Earlier in the week our Sale & Marketing Director, Susan, had a sale from one of our recently closed Show Homes. There were many items which our staff could purchase with a contribution made to the Breast Cancer Now collection. It was a wonderful suggestion that helped take our running total to £209! Finally, our Chairman, Nicolas King very kindly offered to double the funds that we raised leading up to the main event which then made our final total for the day £418.00. Do you think your workplace would match your fundraising too? Find out more about how to organise matched funding or give us a call on 0333 20 70 300.